In his biography Greeko is described as one of the new undisputed talents of the Italian scene. Innovator of the beats, dry and firm, merged with dark sounds and fuzzy vocals, something that you surely didn’t hear often. Obviously, there’s no lack of self-confidence here. 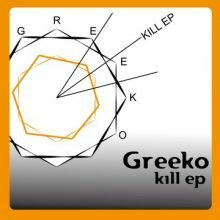 To proof this statement Greeko appeared on various labels like Yuma, Sincopat, Noir Music and more. His productions are filled with the energy of a young man who wants to get out. The playful way of arranging vocals and harmonies around driving beats with a clear kick sometimes refer to early Mo’s Ferry releases. It’s like a refreshed version of the label sound.